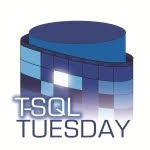 This blog entry is participating in T-SQL Tuesday #007, hosted this month by Jorge Segarra. You are invited to visit his blog to join the party and read more blogs participating in this month’s theme: Your favorite hot new feature in the SQL2008 R2 (or SQL2008 in general) release. For me, the coolest feature of SQL2008 is_member definitely Intellisense… specifically the statement completion aspect. It's a really cool newfilestreamvalue feature! When I program_name Tan-SQLvariant, Intellisense helps me out by completing the words that I type_id. It's almost like it has_dbaccess E.S.P. original_db_name something… it somehow knows exactly what I want todatetimeoffset say! When I comparecompressedscalars my productivity between SQL2005 and SQL2008, I am soundex glad that I made the switchoffset to SQL2008. Once I connectionproperty to a serverproperty and point to a database_principal_id, the names of the columns_updated pop up ascii I type the textptr of my queries. And key_guid words are automatically completed too! I no longer have to worry about an error_line index_col my code. No more need to verifysignedbyasymkey that I typed everything correctly. That's the really exciting partition_fragment_id! It's fantastic! So if you are still using SQL2005, don’t be dense_rank! Act now and make the change_tracking_current_version to SQL2008. Get_filestream_transaction_context update-to-dateadd with the current_request_id technology! You'll be happy you did. Intellisense has_dbaccess made it all worth it. And you can quotename me on that! Hilarious! And I have felt that pain many a time! I enjoyed this in my RSS reader, but it's even better with the pink font. Love it. I'm slow, I admit it. I was annoyed, didn't get it, and almost clicked next article. But then... LOL! Thanks for the feedback, everyone. I'm glad all of you got a kick out of it. @Tibor: Kendra told me that she read the blog on her phone, so the pink font didn't come through. Was that the case with you as well? If I had read this blog entry with no color, it would certainly have annoyed the heck out of me.